Description: Scattering characteristic calculation method has been proposed for non-ideally reflective object with thin dielectric envelope. The base of this method is the calculation of scattering field for non-ideally reflective object in far and near scatterer zones and the estimation of correction for dielectric envelope accounting in far zone field of object. Vasilets, V.A., Sazonov, A.Z., Sukharevskii, O.I. and Tkachuk, K.I. 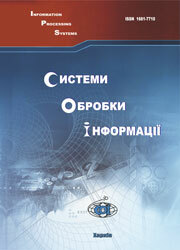 (2003), “Metod rascheta kharakteristik rasseianiia neidealno otrazhaiushchego obieekta s tonkoi dielektricheskoi obolochkoi”, Information Processing Systems, Vol. 2(24), pp. 194-197.